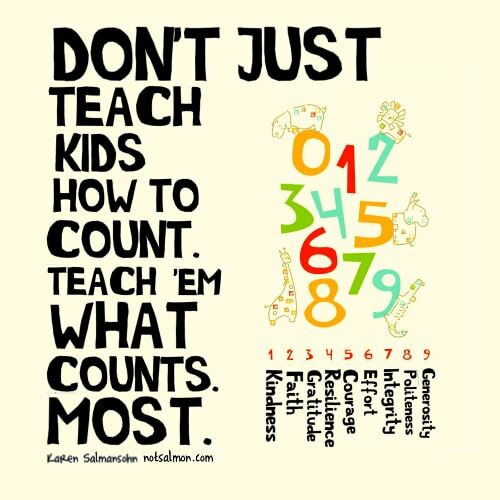 Don't just teach kids how to count. Teach 'em what counts most. Back in 2011 I wrote and designed this poster below – and it went wildly viral. Many teachers wound up emailing me to ask for permission to use the poster at their school. So – here is the poster once again. Feel free to print it out – and use it to wherever you want to pass the positivity forward. Try this easy 2 minute joy-boosting habit!